Please refer to our stock # FenGrnDDHorn when inquiring. 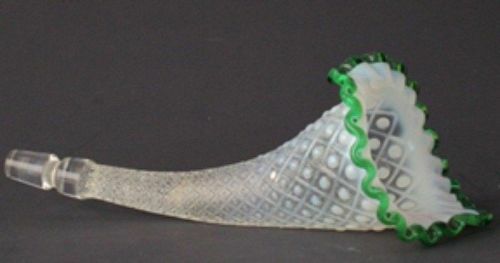 We have 3 Fenton-made Diamond Dot Epergne Horns. All in mint condition. If you're missing or have a broken horn and want a whole one or new one, here it is! Priced per horn, three are available.